Imagine a splendid warm evening filled with wonderfull profumes, dear friends, good food, wine, spectacular Tuscan scenery, and the enchanting Italian and evergreen music! Finnish singer Lassi sings beautiful Italian songs, for example Volare; Parla piu piano, Caruso etc. and also Evergreen music; Frank Sinatra, Beatles, Procol Harum etc. Lassi performs alone with high-quality backing tracks. He is also happy to tell you about life in Tuscany. 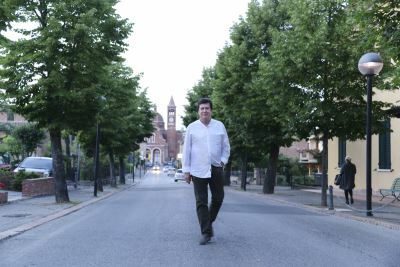 He has been living for 21 years in Tuscany, and a few months ago he realised his big dream, his first CD Che Sera, Stasera! He speaks and sings fluent English, Italian and Finnish and understands Swedish and German. Contact us to book your evening with live music at your holiday villa in Tuscany. Prices starting from Euro 350.